Now famous “Arsenal club members” - Mesut Ozil, Oliver Giroud, Aaron, Ramsey, Jack Wilshere and Theo Walcott can be in your bag. 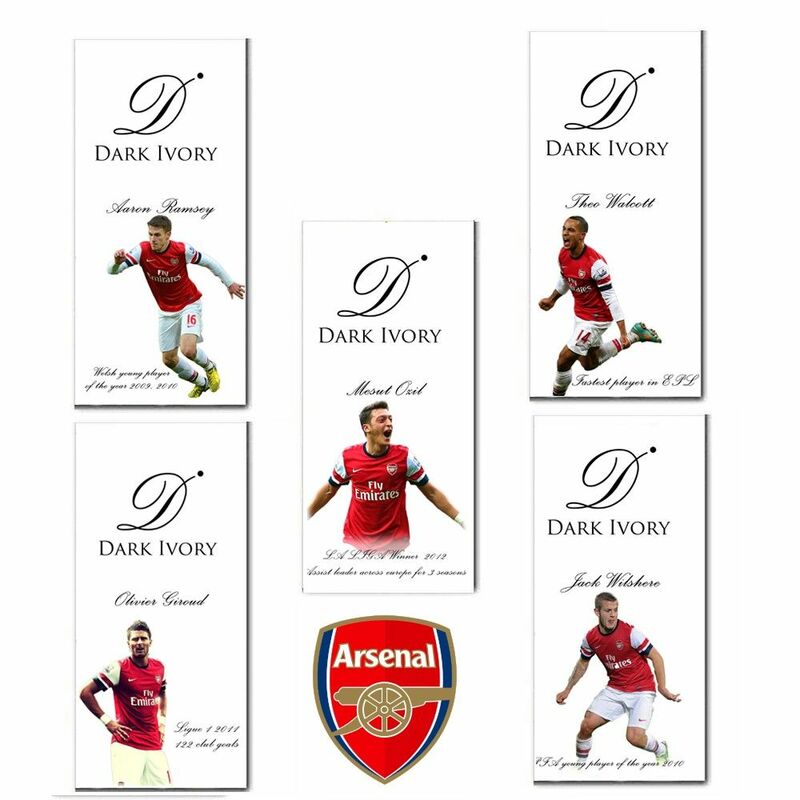 Arsenal football club themed 5 dark-ivory chocolate bars are all set to crave out your passion for football. COYG!